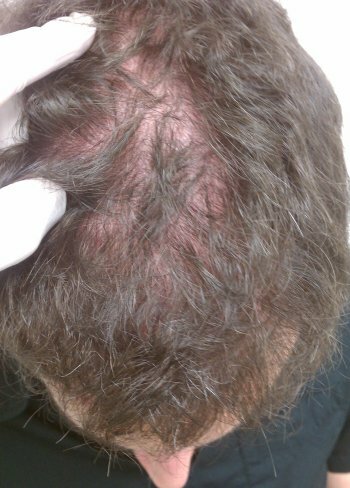 This patient took creatine at 17 years old for 6 months and had experienced hair loss 6-8 months later. After that period of time he had NO further hair loss. He is currently 33 years old and would like a transplant. 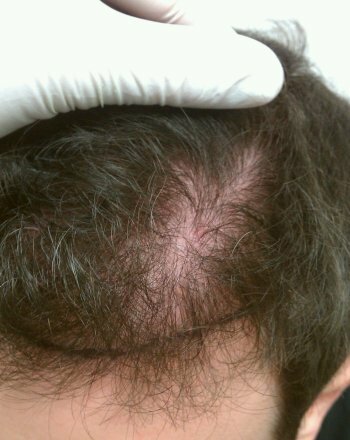 His case is very typical of supplemental hair loss. 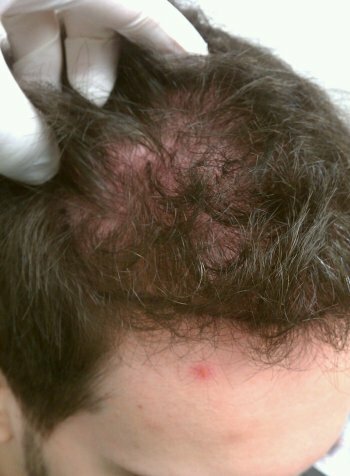 If you examine the scalp you can see a very even diffuse thinning pattern throughout his head. There is a texture change especially on the tips of the hair, slightly frizzy when you compare it to the donor hair. ( not affected by DHT). Almost looks like it was slightly singed by a candle. Not quite as frizzy looking as hypothyroid hair. There is also an even distribution of hair loss when you examine his head with the same amount of scalp showing throughout the MPB areas. This is because all supplements that spike T are systemic . Creatine is extremely anabolic and very commonly used for weight lifting in younger men and weight gain in older individuals. See SHAPIRO Chart.